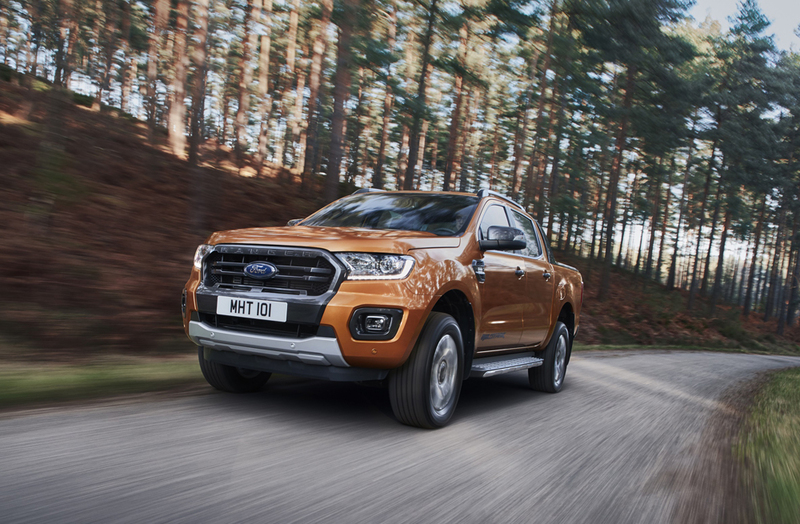 A new Ford Ranger will arrive mid way through 2019, sporting a new 2.0-litre EcoBlue diesel engine, the option of a 10-speed automatic transmission, and a wider range of driver assistance technologies. The new 2.0-litre engine will be offered in three guises, starting in single-turbo 130ps form with 340Nm of torque, emissions from 209 g/km and 35.3 mpg economy. A 170ps version will deliver 420Nm, together with emissions from 216 g/km and 34.0 mpg. Topping the range and effectively replacing the 3.2-litre five-cylinder unit is a bi-turbo variant with an enticing 213ps and 500Nm of torque. It’s said to achieve 30.7 mpg with emissions from 228 g/km. The two turbochargers are of different sizes and work in series – the smaller unit builds boost quickly for greater responsiveness, while at higher revs the larger turbo takes over. Transmissions are six-speed manuals as standard, while the 170ps and 213ps models are also available with the 10-speed automatic gearbox from the Ford Mustang. Ford claims the new automatic transmission can achieve fuel efficiency gains of 9-10% over the outgoing powertrains, while the manual versions are said to boast a 4% improvement. 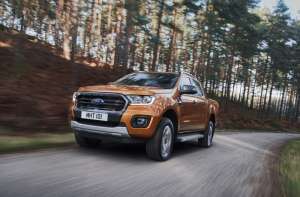 Meanwhile, Ford engineers have revised the suspension set-up to achieve a more refined ride, with each model within the range said to benefit from tuned spring and damper rates to suit the character of each. 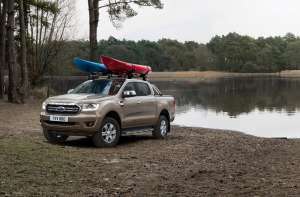 It should prove just as capable off-road, however, and retains its 800mm water fording ability, 230mm of ground clearance and 3.5-tonne tow rating. A revised front bumper has allowed a slight improvement in the approach angle to 29 degrees while a new grille, tweaked air intakes, bi-xenon headlights and LED running lights join new wheel designs and new colour options to complete the updated look. 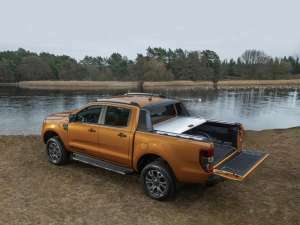 Limited and Wildtrak models also feature a new easy-lift tailgate, which is also now integrated with the central locking system. Inside, there’s new black trim, revised trim across the dashboard and a revised gear-shifter, while Wildtrak models gain dark satin chrome and part-leather seats embossed with the Wildtrak logo. There are new driver assistance technologies, too: pre-collision assist with pedestrian detection that uses a forward-facing camera and radar sensors to detect obstacles in the road, applying the brakes automatically if necessary. The Intelligent Speed Limiter now works with the Traffic Sign Recognition system to automatically adjust to changing speed limits. Active Park Assist is now available, too, with range-topping Double Cab models including Active Noise Control. The new 2019 Ford Ranger goes on sale across Europe in mid-2019.